Archaeon was founded in 1986 by Principal Robert Wilkoff, a graduate of the Pratt Institute School of Architecture and NCARB member. Based in Cabin John, Maryland, Archaeon has provided a wide range of residential and commercial solutions in the greater Washington, DC area and around the world. With more than 30 years’ experience in projects ranging from residential renovations to multi-million dollar commercial buildings, Archaeon remains committed to active principal participation in every project and a focus on listening to the underlying needs of each client. Archaeon focuses on the unique design requirement of its clients to address issues important to their functioning and experiential sensibilities. Whether our clients seek design solutions that are sustainable, accessible, or that allow aging in place, we strive to know each of our clients needs and desires and to design spaces that serve their current lifestyle as well as their future needs. Whether your project requires historic preservation or contemporary design, Archaeon combines teamwork and management skills with a complete array of design software and hardware systems. 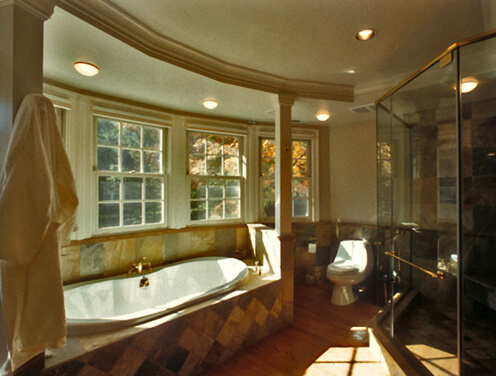 The results are superior architectural design and an unprecedented rate of client satisfaction. Our work has been featured on HGTV, Washingtonian Magazine, The Washington Post, Washington Home & Design Magazine, Spaces, and Southern Living, to name a few. To view our designs featured in various publications, click here. To learn more about our architectural services, contact us.